At brighterkind we believe in living life to the full. That’s why we’re passionate about creating vibrant, stimulating activities that will help our residents to love every day. We call them: ‘Magic Moments’. At Bamfield Lodge our Magic Moments Club Co-ordinators, get to know our residents really well and will seek to provide an ever-changing programme of events and activities tailored to the needs of our residents and aimed at improving their wellbeing in terms of their mind, body and soul. 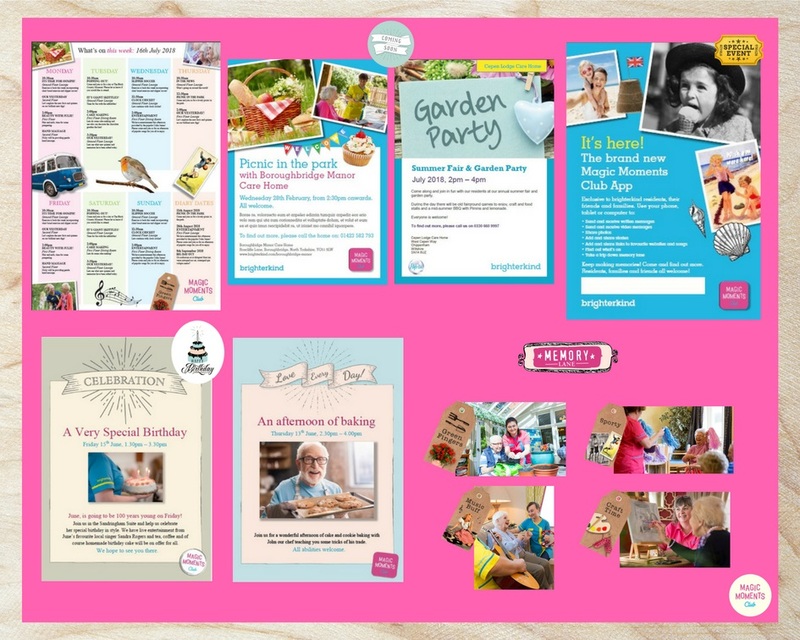 Keep an eye on our pink noticeboards for regular updates of events and activities happening in our home. Our Magic Moments Scrap Books can be found on our reception and are full of pictures and stories from our events, activities and outings! 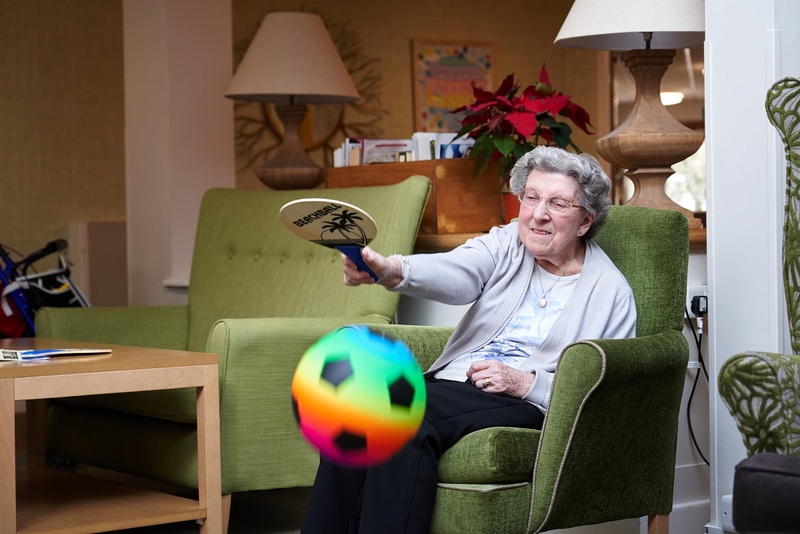 The Magic Moments Club focuses on our residents’ interests, so each day at Bamfield Lodge, it's a hive of different activities – ranging from art, gardening and baking, to dancing, puzzles and movie nights. 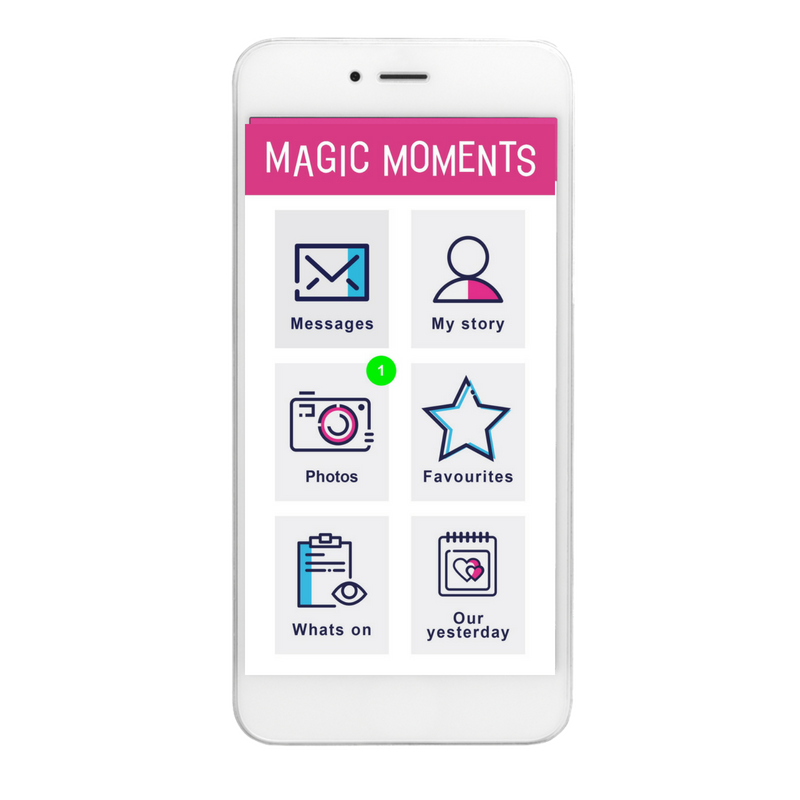 We use digital technology for on-screen quizzes, news and entertainment, and our team has also created an exclusive MAGIC MOMENTS CLUB APP. This innovation puts all the possibilities of social media, events, happenings, video calls, digital content and special personalised areas into the hands of our residents. We also take the magic outdoors, encouraging our residents to get out and about with trips to theatres, pubs, galleries, gardens and local events. A steady stream of interesting people also come into our homes, from local artists and musicians to animal therapists and beauticians. 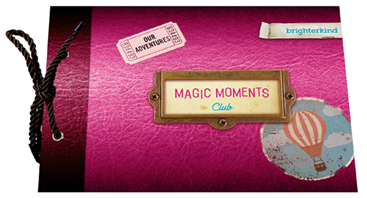 See our Magic Moments Club App in action below! Did you know that in a recent survey 60% of people said that they had never had a wish come true? 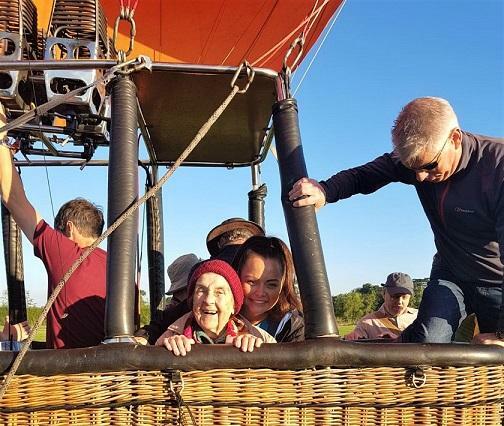 At brighterkind we want to put this right with our Wishing Wells programme, just like 99 year old Muriel in the photo below, who's wish was granted to fly Up, Up and Away, in a hot air balloon! Read more about our WISHING WELL PROGRAMME HERE. Our programme encourages all-round wellbeing. The activities focus on keeping the mind sharp and agile, the body fit and mobile, and the spirit lively and engaged through entertainment, challenges, discoveries and personal interests. MAGIC MOMENTS CLUB SPORTS HERE. As well as introducing an even greater focus on nature and fresh air activities we are also focusing on relaxation and music. 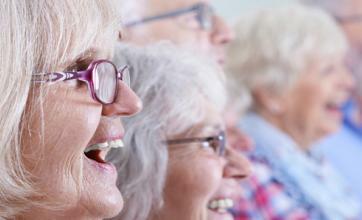 Just one of these exciting developments is the creation of a choir or singing group in every home. 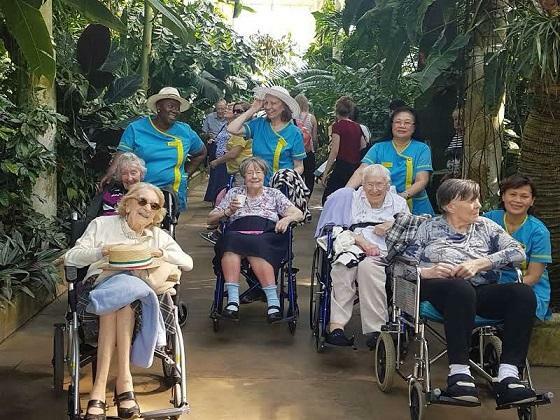 Taking advantage of sunny days and getting out into the fresh air is so important and we aim to make regular use of our gardens and outside spaces, and includes a range of trips and excursions. Getting close to nature by doing a little gardening or bird watching can really lift the spirits, so we’re working with local organisations and communities to make even more of activities in our gardens. We also offer trips out, although it’s not always about going far afield. Many of our residents want to visit local attractions or to pop to the shops. We do our very best to make sure these interests and wishes are fulfilled. Click here to see examples of brighterkind TRIPS OUT.